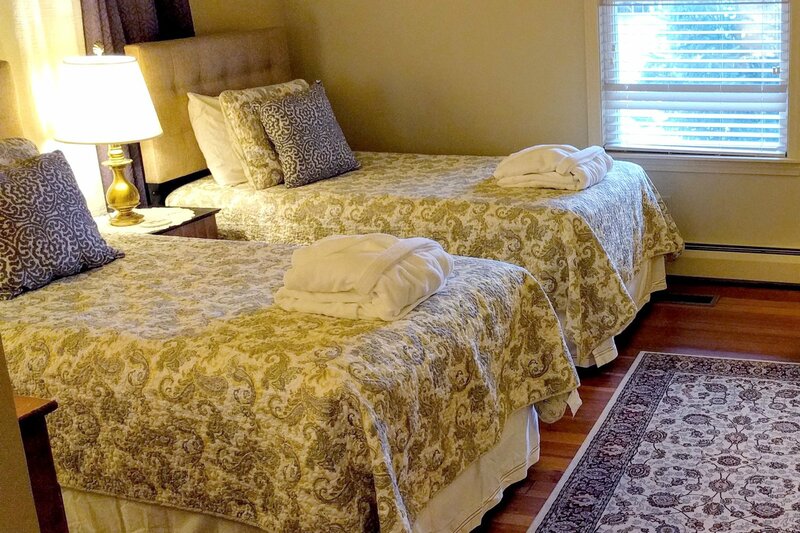 This room has two twin beds and is located on the first floor. 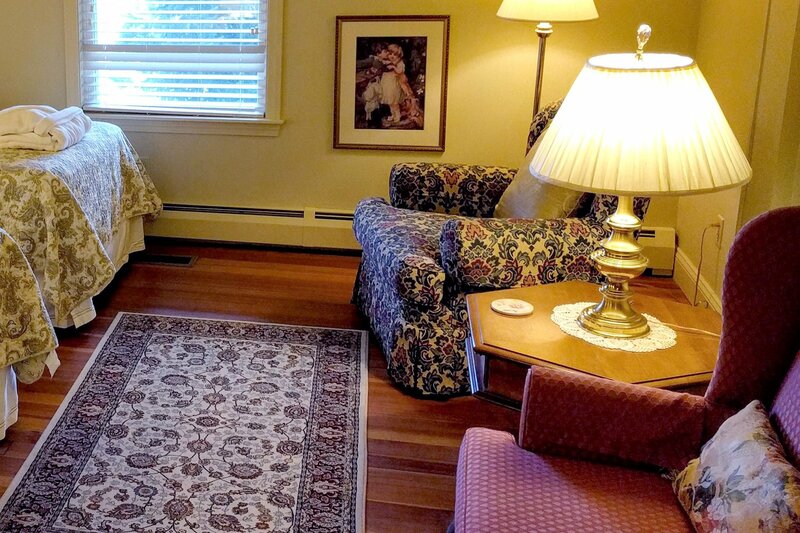 This guest room is full of traditional flair with a warm, coffee latte wall color. An oversized chair with a great reading light invites you to "settle in" and enjoy this warm setting. 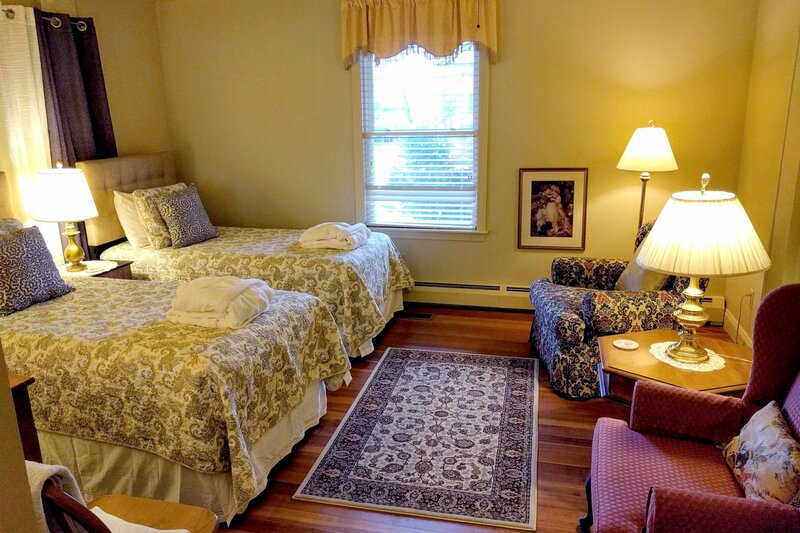 Our guests thoroughly enjoy that this room is located near our front parlor.